Saturday, November 15th brought Day 2 of the INSPIRE! Toronto International Book Fair. With it being the weekend, and with the headlining authors scheduled to appear, there was anticipation for larger crowds. On tap for the day were best-selling authors Deborah Harkness, Anne Rice, William Gibson, Kathy Reichs, and Margaret Atwood, discussing their latest works on the Main Stage. The publisher and vendor booths also brought a wide-range of programming to visitors at the various stages and across the show floor. 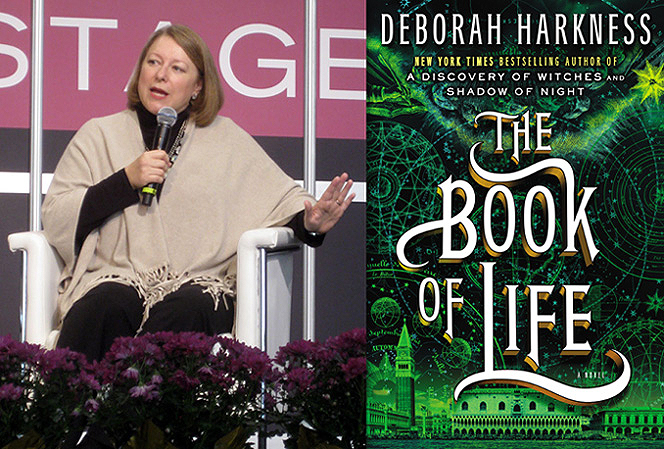 Author Deborah Harkness was introduced on the Main Stage by CBC host Nil Köksal. With the panel being titled Imagining the Past, Harkness used the third book in her best-selling All Souls Trilogy, called The Book of Life, as the starting point for her discussion on her decades of experience as a history professor and techniques for incorporating historical elements into her writing. She talked about the years of research she puts into her books and drawing from the knowledge she uses in the classroom. She then took questions from the audience, many of whom were eager fans anxious to speak with her. She was asked to speak about her real-life experience of finding a long-lost book during her months of research at Oxford University, of which she uses as a key plot element in her first book. 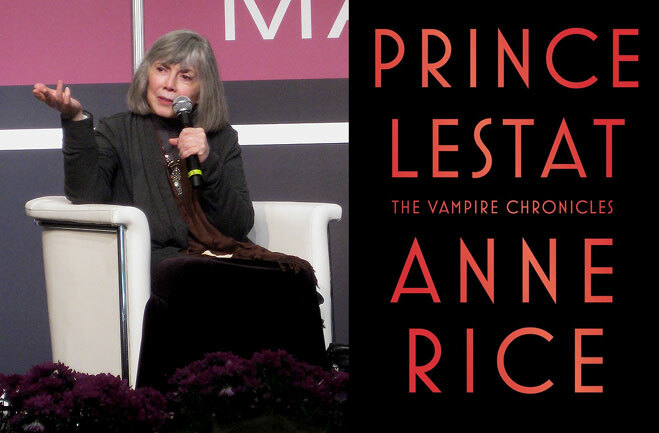 Easily one of the biggest draws of the day was world-renowned author Anne Rice, back again with the latest instalment of her massively popular Vampire Chronicles series. This book, titled Prince Lestat brings readers back to this world after a decade-long hiatus. Rice explained that she missed this world and these characters and wanted to see what they were up to. When Lestat’s voice comes to her again, he takes over and she has no choice but to write the story. She also explained to excited fans that her next book will pick up where this one leaves off, becoming the 12th instalment in the series. Rice also answered questions from audience members including providing writing and publishing advice, her research process, and about her time living in New Orleans. Drawing a different kind of crowd was legendary science fiction writer William Gibson. 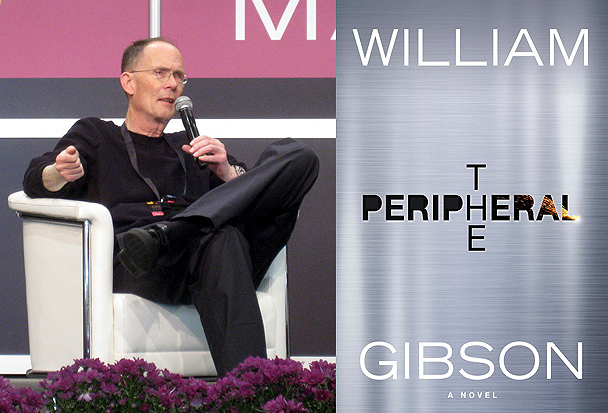 Likely best known for one of his early works Neuromancer, in which he coined the word “Cyberspace”, and for his lasting contributions to the cyberpunk aesthetic, Gibson returns with his latest book The Peripheral, a time travel murder mystery set in two futures. The novel, focusing on Flynne and her brother Burton, a veteran of the United States Marine Corps’ elite Haptic Recon force, takes place in a near future that looks like an exaggerated version of the path the world is currently headed on, and a more distant future where a series of devastating events has killed most of the world’s population. Gibson also answered questions from excited fans wanting to know about his writing process, his favourite books, and even his predictions for the future. 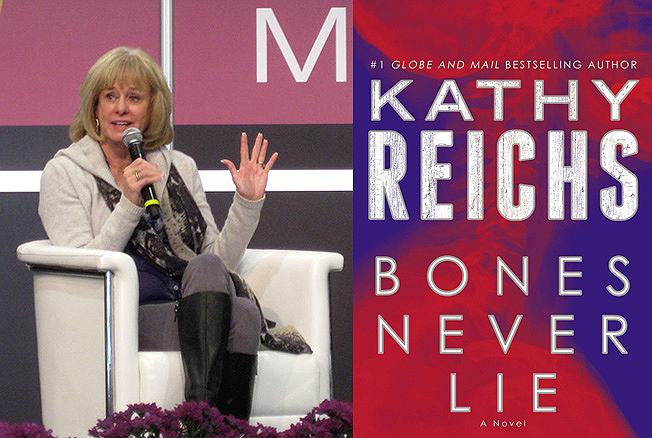 Next up on the Main Stage was best-selling author Kathy Reichs. She’s back again with Bones Never Lie,the 17th instalment in her insanely popular Temperance Brennan series. She is also known for her books being the basis for the television series Bones starring Emily Deschanel and David Boreanaz. Reichs explains that in this latest book, the one killer that has eluded Brennan returns to her world again. After narrowly avoiding capture in the 7th book, she returns with another murder thousands of miles from the last one. Reichs also discussed her “day job” as a forensic anthropologist, what it was like to testify on behalf of the United Nations at a war crimes trial in Africa, and working on the television show as producer and occasional writer. Many fans in the audience were eager to hear about some of her more memorable cases that she has worked on and how she incorporates those into her novels. 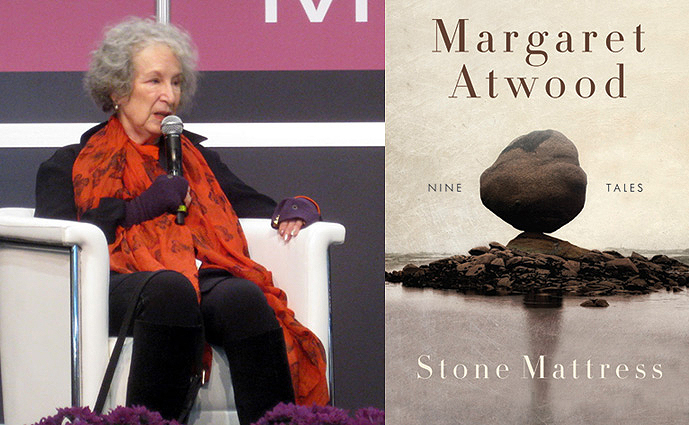 With likely the largest crowd of the day, and with standing room only, fans were eager to see Margaret Atwood present her latest book, a collection of short stories called Stone Mattress. 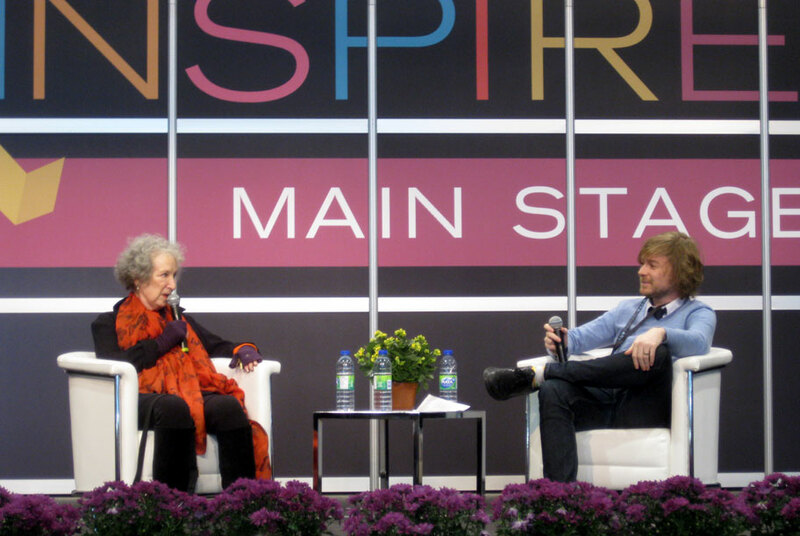 Atwood is one of Canada’s best-known and well-loved authors and the audience reflected that. She talked about how the stories in the book are connected and where the inspirations came from but she was also very reflective on her overall career and the years behind her. Her Maddaddam trilogy poses a bleak future and she discussed her environmental predictions for where we are headed. She was also asked to speak about her participation in the Future Library, a project in Norway that is asking writers from today to contribute new, unpublished works that won’t be seen for 100 years. She was unable to provide any information about the story but she was enthusiastic about participating. Fans were able to ask questions about the writing process, her books, her career, and even her shark gloves that were given to her by one of her editors. 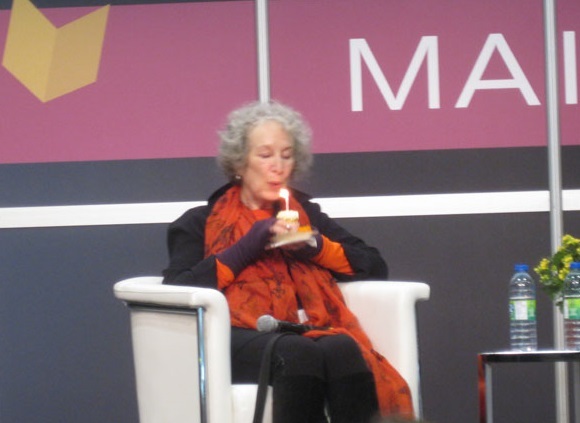 Penguin Random House also surprised Atwood for her 75th birthday, happening just a few days after the event, with a cupcake on stage and a large birthday cake at their booth. Fair visitors were able to have a piece of the cake as well to participate in the celebration. 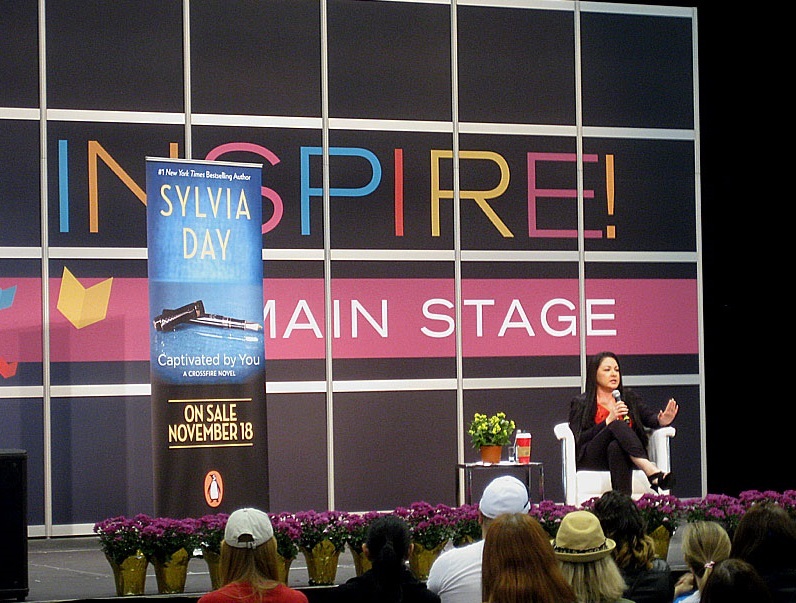 The last big draw of the day was best-selling writer Sylvia Day, author of The Crossfire Series. The latest instalment was due out in stores 3 days later. Instead of being interviewed by a host, Day simply took to the stage by herself and spent the hour answering fan questions. This was her first visit to Toronto so many were eager to speak with her. She talked about the inspirations for the characters in her books, her writing process, and her marketing efforts. She was available to sign books after the discussion. For it only being the first year, the INSPIRE! 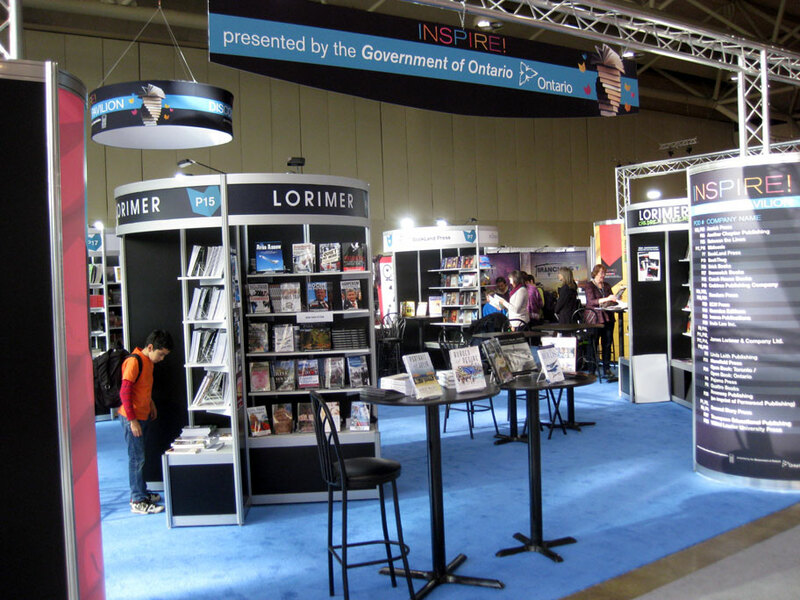 Toronto International Book Fair can be deemed a success. There were surely many lessons learned about what worked, and what didn’t, and what can be done to improve the event going forward. A larger expansion of the vendors and publishers on offer will be needed in order to sustain interest. Organizers intend to focus more on the international element of the fair next year as well. The downside to attending the event for multiple days is that after touring the show floor to see all the publishers and exhibitors, there isn’t much else to look at. There needs to be a larger amount of exhibits or activities to see and do to engage visitors. In addition, the set up of the various stages needs to be re-examined, as often throughout the day activities from one stage interfered with interviews and readings on others. 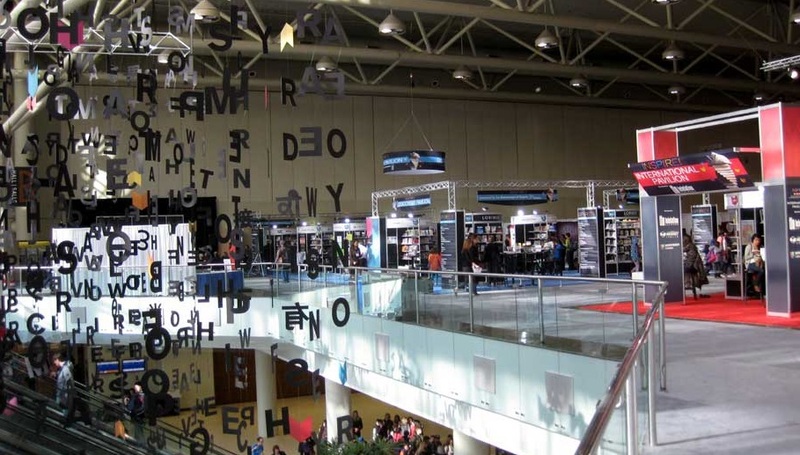 Given that the Convention Centre is a large, open space, the sounds echoed and traveled across the show floor disturbing audiences and authors. All elements will likely be improved for next year. Organizers may also want to consider moving it to a different time of the year where the event calendar is not already so crowded. However, if this momentum can continue, and more Canadian and international publishers come on board, this will surely be an impressive and welcome addition to Toronto’s book-loving community.